As expected, last night’s MTV Awards ceremony heralded the unveiling of Spider-Man: Homecoming‘s first clip, one in which Tom Holland’s wall-crawler accidentally blew his cover in front of a gobsmacked Ned (Jacob Batalon), Parker’s best friend and classmate. Cue the inevitable panic attack as Holland’s Peter Parker begins to field questions about Tony Stark (Robert Downey Jr.) and his potential involvement in the Avengers, all of which combines to create a delightful little slice of Jon Watts’ origin story. That marketing push continues unabated today, as Screen Rant has uncovered new artwork and a rather striking poster of Tom Holland’s friendly neighborhood Spidey looking over the city he’s sworn to protect. And as if that wasn’t enough, there’s also another TV spot designed to showcase Parker in action, as he encounters a gang of crooks disguised as Earth’s Mightiest Heroes, and let’s just say they won’t be winning any Halloween prizes for best costume anytime soon. All of this comes at a time when excitement for Homecoming is beginning to reach a fever-pitch – we are now within two months of launch, after all – but perhaps most interesting of all is those comments made by Guardians of the Galaxy Vol. 2 star Dave Bautista, who hinted that Marvel is currently in the process of acquiring the rights to Spidey outright. Stay tuned for more on that one. On July 7th, Spider-Man: Homecoming will bring about the Tom Holland-fronted spinoff that fans have been frothing for ever since the up-and-coming Brit stole Cap’s shield in Civil War. 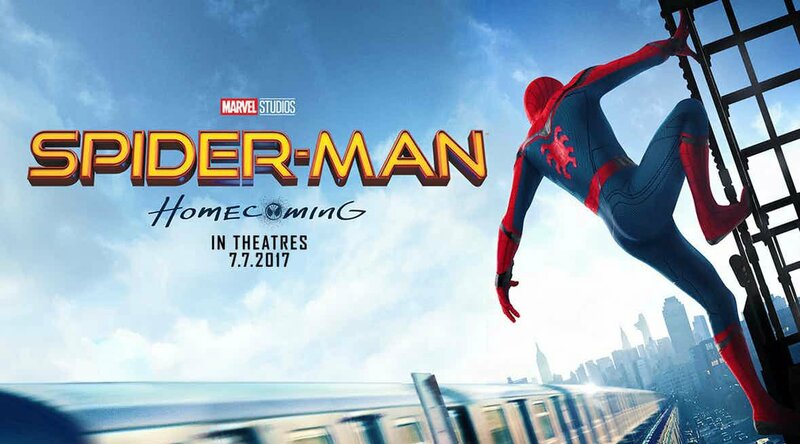 It’s considered to be the first true Peter Parker movie, what with the high school setting and younger lead, so it’ll be interesting to discover how fans take to Marvel’s new interpretation of the iconic hero.